Photo Gallery #45: Click edit pencil to get the selected gallery name. 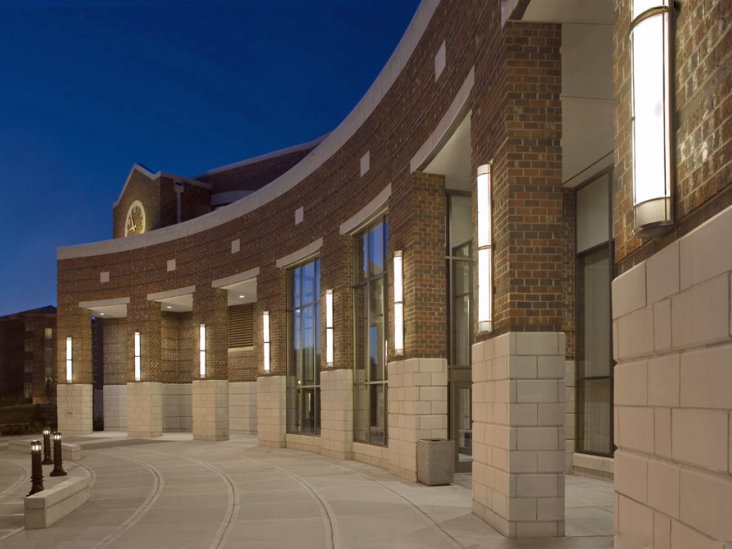 Fixture: Modified 96-inch tall Column series exterior sconces provide a striking welcome to this University of Dayton building. Compact fluorescent lamping, powder coat finish, and access to the interior via a hinged housing make maintenance easy.